The russian war in the Caucasus against the people of Chechnia is ignored or accepted by the world. Maybe this war is not so attractive as the Balkan-War last year? Why no protest? A people is attacked and confronted with brutality and cruelty and the neighbouring Caucaus-Republics get no help for the growing number of refugees. 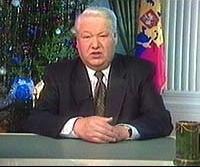 Yeltsin and Putin kill a people to keep their power. The russian people elected Putin, former KGB-chief and actually executor of the Chechens, after an election-campaign of unknown cynicism. Freedom, Democracy and Freedom of Speech are in Danger. The russian media appear uniformly and censored, we appear ignorant. I think our humanity must be measured by our attitude towards cruelty like this. We must say NO. The russian PEN-Club published an open letter to Yeltsin in December 99 to protest against the war and to warn against the danger of democracy. There is a also a russian version. Avantart-Man of the Year 99? 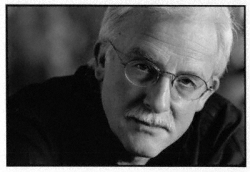 Is there any Avant-Garde left? Now it happened: nothing happened .... new year like every year..
what kind of feeling now? Flat? Stale? No apocalypse and the elevators keep on going? Let us follow this intention: not to ignore the hype and the events (that will be impossible), but to oppose it with something better, with art! Avantart is run by a woman, but this edition is accompanied by three men: Boris Yeltsin, Helmut Kohl and Mahir Cagri. Well I thought it is quite ok that the big one from Kremlin gives back the vodka glass and retires. That's for sure not a signal for better times, as the russian people always had bad governments, but at least: one less corrupt politician! To steal as much as possible and no matter if you have to kill Chechenian civilians. No. I am glad that he left. Now it became obvious and undeniable, that the fat one from Oggersheim is one of the big snatchers who lied whenever he thought it useful. His moralistic tirades faded away and now everybody admits: he lies and he betrays the country which chancellor he was (for too long time) ... Nein, Helmut Kohl is not man of the year 99, he is Y2K incompatible. Mahir Cagri is a man of the year, just because he is sympathetic and it is really amazing how a plain, simple man becomes a cyber-super-star suddenly. Nobody knows who and how it started, but he is the real Web-Star. Let it be a fake, whatever. For me it is a hint that there could be sympathetic hype as well: everybody is smiling, no damage to anybody and nobody's nerves are ruined. welcome at Avantart, Jürg Solothurnmann! Associated Press tried to define Avant-Garde by listing important cultural stations of the Art in the 20th century. They name Igor Stravinsky, Gertrude Stein, and Andy Warhol für for the aera of 1913 to 1964. What happened after 1964? Where is the Avant-Garde today? 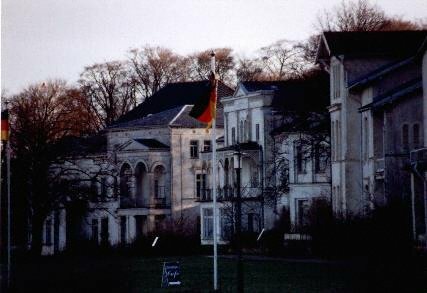 Derriére-Garde or Arier-Garde? The Plus-Minus-Calendar 99 grew every day of the month of December 99, and every day you could learn about my preferences and about my dislikes. As Nick says: One New Year is better than three Old Years! Photos from Armenia, the winterproof Baltic Sea and some snapshots from one of the oldest narrow-gauge trains in Germany, the Molli. I hope you like them. 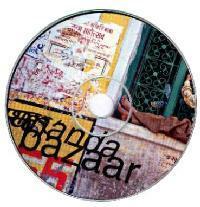 After some delivery-problems, now the often announced CD ANANADA BAZAR with traditional indian music is out. More information on this CD at the Longarms-Site, and you can listen to one piece from this CD as well.